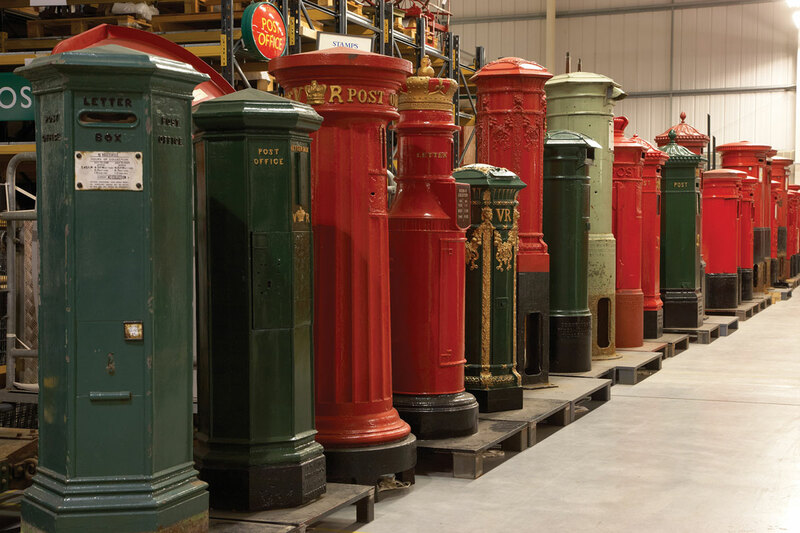 The British Postal Museum and Archive will reopen its doors in 2016 at a new London location and purpose built site to house its historic collection. The galleries will explore themes such as the Post Office at war and the communications revolution, and the service’s role in turning points of national and international history. Victorian pillar boxes lined up in the collection of post boxes held by The British Postal Museum & Archive, reflecting over 160 years presence as part of the British street scene.